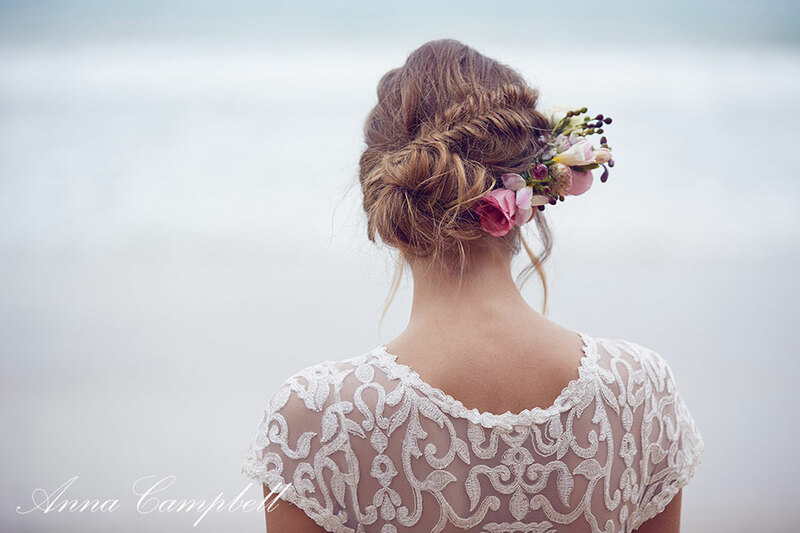 There are certain bridal designers that I literally just can not wait to see what they put together next. These are the designers I am constantly mulling over for styled shoots, literally drumming up ideas just to get the opportunity to play with the gorgeous gowns. If you’re in the wedding world at all, you know exactly what I mean! 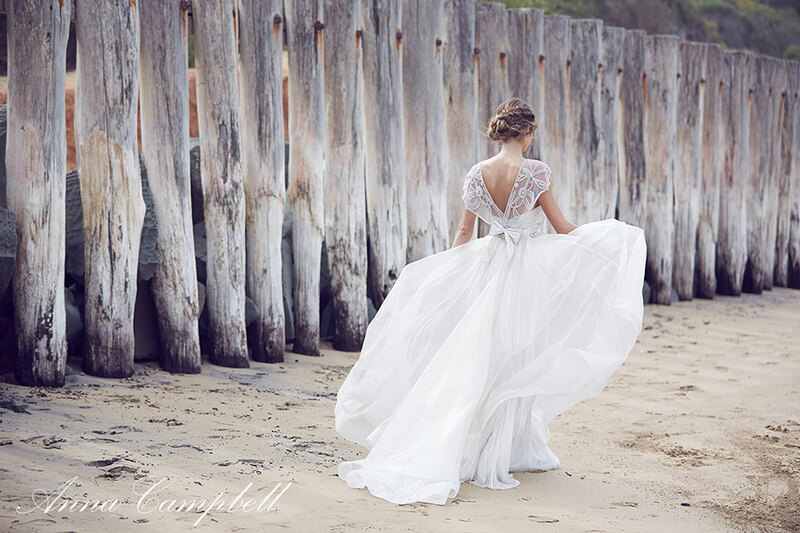 Australian wedding dress designer Anna Campbell is one of my favorites for this very reason. 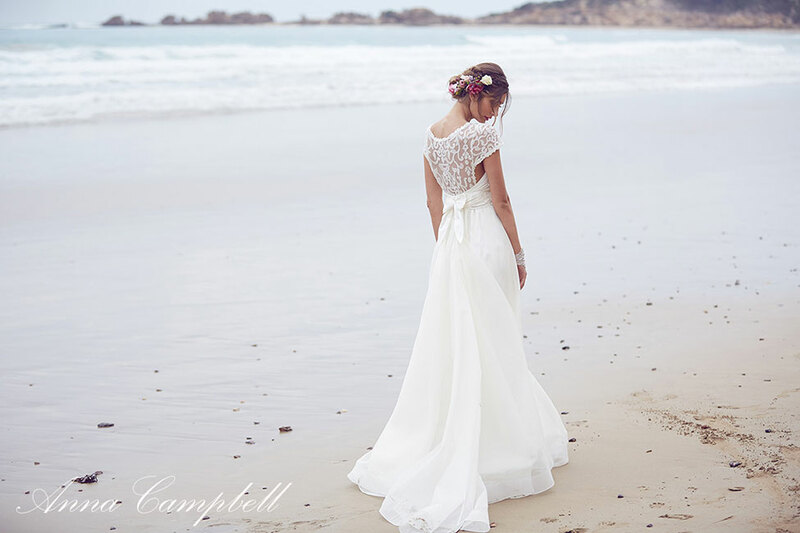 There is an almost effortless beauty that comes with each of Anna Campbell’s wedding dresses and while they might not be one of a kinds, they are so unique & wonderfully dynamic they feel as if your the only one in the world wearing it! 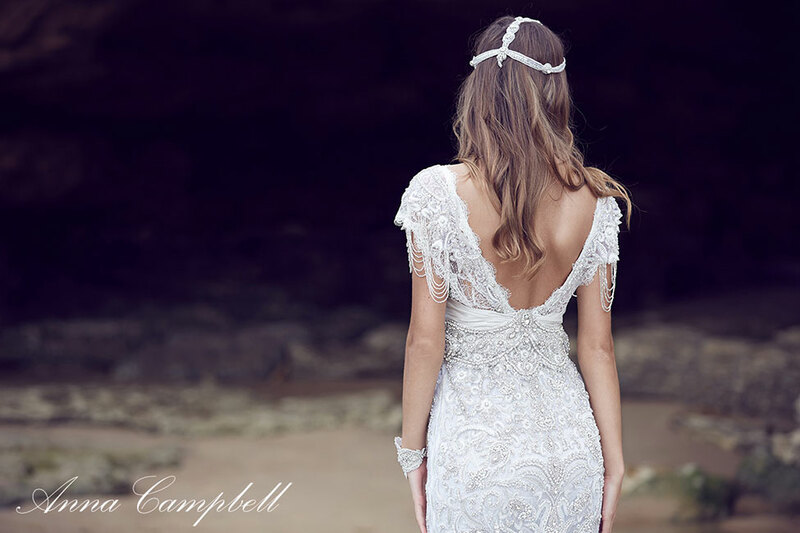 What I truly adore about Anna Campbell’s Spirit bridal collection is how it really plays up to the one of a kind mentality. 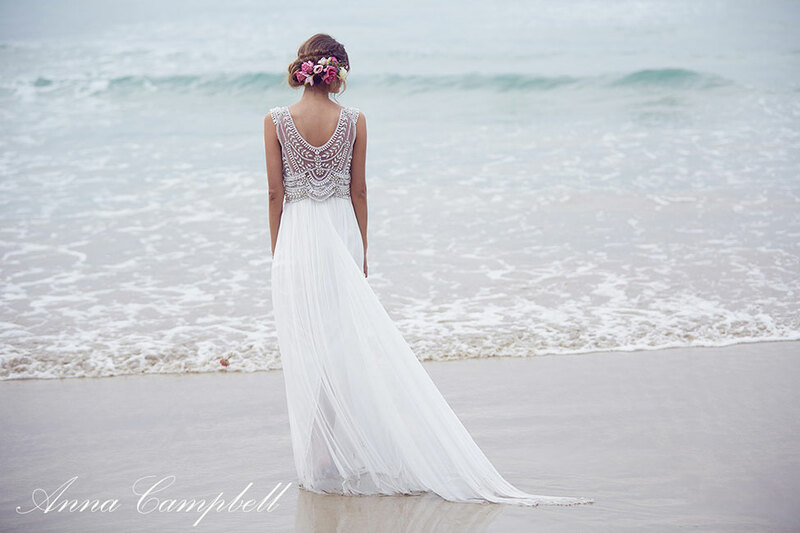 What Campbell has done with this collection is very clever. While the collection as a whole still boasts the designer’s signature style, the difference this time around is a flexible ability to customize the final wedding dress. Each design within the collection features Anna’s gorgeous vision, with 6 various skirt options to select from to complete the gown. 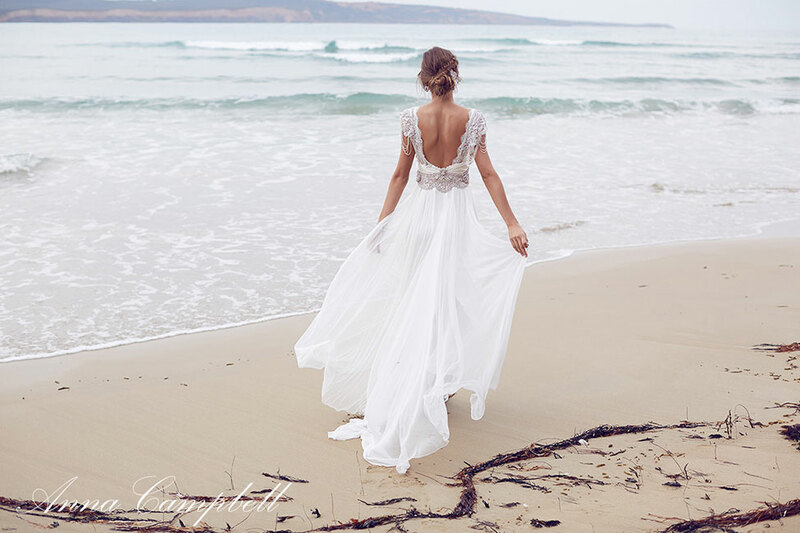 To skirts that are form fitting & body hugging to those that are utter flowing organza dreams, the ability to truly customize per bride is the real treat. 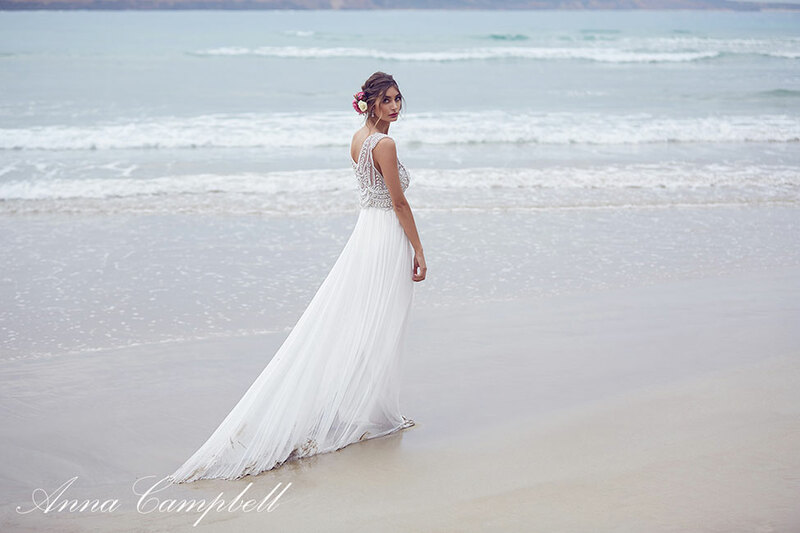 With such a diverse collection, the editorial team at Anna Campbell kept their look-book sleek & simple, allowing for the gowns to be the true stars set simple along the coastline. Package that together with a collection that’s photographed by one of my favorite eyes in Australian wedding photographer 35mm Wedding Photography, and consider me obsessed! 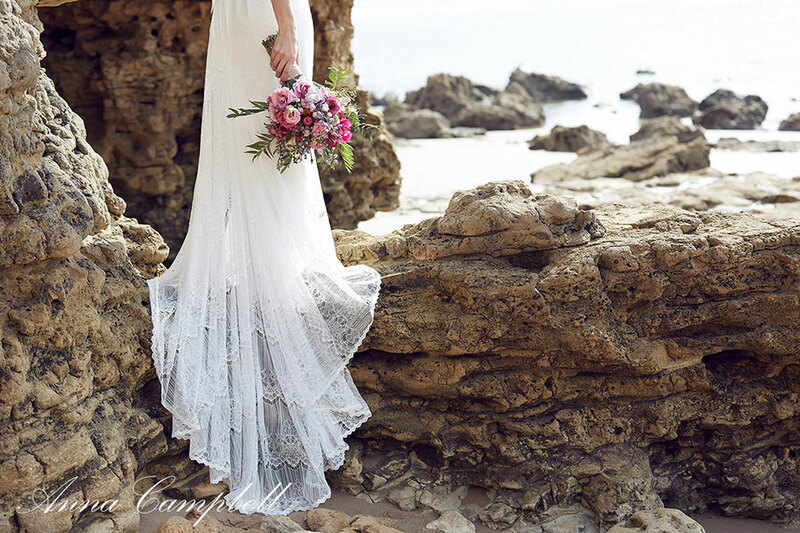 I have no doubt that after strolling through the collection you too will find a wedding dream soulmate!